Goudlock (seen at right) has spent more than 20 years in prison for felony aggravated assault and robbery, crimes committed when the gun-toting Cleveland native was 18. Goudlock, who has appeared before the Parole Board four prior times, is scheduled for a hearing this month. 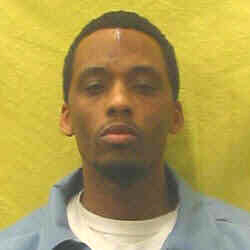 Goudlock contends that he was sentenced under old laws that have resulted in punishment that has already exceeded what a “new-law prisoner could be made to serve.” He added, “I’ve served even more time than convicted murderers.” According to Ohio Department of Rehabilitation and Correction records, Goudlock’s mandatory maximum release date is January 2028.